Fury at HIV data leak in conservative Singapore - SABC News - Breaking news, special reports, world, business, sport coverage of all South African current events. Africa's news leader. 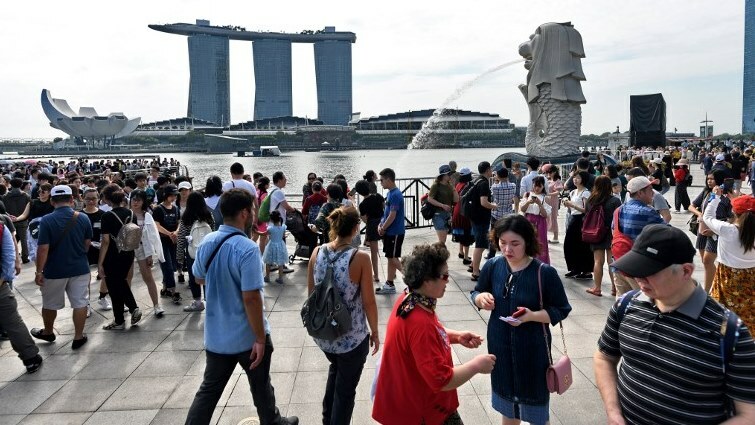 A crowd of people visiting central Singapore's iconic promenade. - Those in Singapore with HIV -- the virus that causes AIDS -- have long complained of prejudice, and campaigners say a data breach of some 14,200 people, whose HIV status was released on the internet in January 2019. Last month, he got a phone call saying information about his condition had been published online. Rico was one of 14,200 people whose HIV status, name and address were dumped on the internet by an American man who is believed to have obtained the confidential data from his partner — a senior Singaporean doctor. “The LGBT community is angry and frustrated with the entire ordeal,” said Rico, who did not want to be identified by his full name. The 31-year-old told AFP he was frightened that “the leaked information may change people’s perception of me”, adding that he had not told all his friends he was HIV-positive. “Society may be tolerant to the LGBT community but I do not think they are ready to accept a gay and HIV-positive individual. Not in my lifetime,” he said. Those in Singapore with HIV — the virus that causes AIDS — have long complained of prejudice and campaigners say the negative reaction to the data breach has highlighted the stigma. “One of the main concerns is that employers, friends and family who were not aware might react badly,” she told AFP, adding some were afraid of losing their jobs. Since the leak, local media has reported Brochez was arrested in the United States for allegedly trespassing in his mother’s home, although the case appears unconnected to the data breach. Speaking to the Straits Times, he protested his innocence and described reports about him as “terribly nasty and inaccurate”. In May 2016, police seized documents, a laptop and mobile phones during searches of Brochez’s and Ler’s apartments after receiving information that the American may be in possession of confidential data. The government has come under fire for the leak, the second major data breach disclosed within the space of a few months — last year, health records of about 1.5 million Singaporeans were stolen in a suspected state-sponsored hack. In a statement, the health ministry said that the “wellbeing” of those affected by the HIV data leak was their “priority” and support was being offered. “I will not be surprised if the fear drives people underground,” he said. This entry was posted on 10 Feb 2019,10:05PM at 10:05 PM and is filed under Sci-tech, News, Homepage Latest Stories Slider. You can follow any responses to this entry through the RSS 2.0 feed. Both comments and pings are currently closed.